One December evening in 2013, Jake and Mackenzie Mygatt found themselves moved to tears as they listened to a presentation by a woman who is an ambassador for an orphan home in Africa called Beautiful Gate. The church (Jake’s parents’ church) was small and the audience that night (Jake, Mackenzie, and Jake’s mom) was smaller, but the Spirit of God tugged unmistakably on the Mygatts’ hearts as they heard about Beautiful Gate. Beautiful Gate is located in Lesotho, a tiny landlocked country situated quite literally in the heart of South Africa. Ravaged by AIDS and one of the world’s most underdeveloped countries, Lesotho has a population of 1.7 million, which is dwindling. One estimate has 33% of the population suffering from HIV, and among the most tender and fragile of those touched by this raging crisis are Lesotho’s orphans. There are 300,000 of them. Three hundred thousand orphans, untethered and unanchored and unloved in a population of 1.7 million. But not unloved by God, or by God’s people who love Him. Founded in 2001 and currently operated by Americans, Brian and Anita Geurink, Beautiful Gate is one evidence of God’s love for these little ones. The orphanage--consisting of five baby homes, each one staffed by a house mother, “assistant” house mothers, as well as Lesotho native employees--strives to administer quality physical, emotional, and spiritual care to some 65-70 of Lesotho’s 300,000 orphans. Additionally, Beautiful Gate essentially fosters children who have been necessarily separated from their parents for various reasons, giving them a home until the time comes when parents and children are able to reunite. Jake and Mackenzie, passionate about missions and orphans already, felt irresistibly drawn to this ministry as they listened that December evening about the need for volunteers at Beautiful Gate. After the presentation, Mackenzie shared that she was a nurse, which led to them discovering Beautiful Gate was looking for a nurse to come visit. Beautiful Gate had one full-time nurse to serve all 65-70 children. That clinched it. The Mygatts exchanged contact information and promised to pray about going as volunteers to Beautiful Gate. They emailed within the week. There was no doubt in either of their minds what God was calling them to do. They would go. Some called their decisiveness flippancy, but Jake and Mackenzie single-mindedly held to their decision, thanking God for the flexibility that allowed them to pack up without thinking twice and cross an ocean to serve His children. 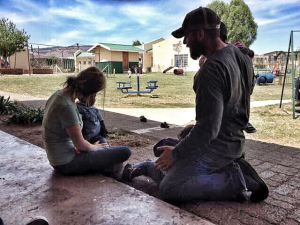 In October of 2014, Jake and Mackenzie arrived in Lesotho and entered into daily life at Beautiful Gate. Assigned to Nala, one of the five baby houses at Beautiful Gate, the Mygatts helped where they were needed, supervising toddlers and young children through everyday activities at the orphan home--nap time, play time, crafts, songs, taking walks, and the like. “We got to be parents for a week,” Jake said. These children were starved for attention and soaked up affection like little sponges. “They all want to sit on your lap, they all want to do your hair, they all want to kiss your face," Makenzie added. So they gave as much parental love as they could to these children who craved it so deeply. 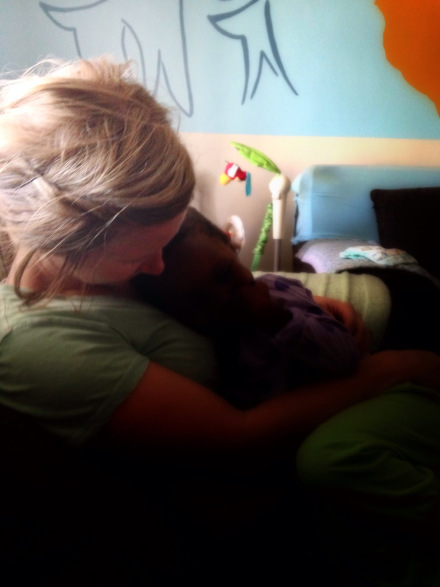 They played and laughed with, carried and cradled, held and prayed for these little ones. Tiny ones. Most insignificant by the world’s standards, yet bearing the Imago Dei and loved most significantly by their Creator. Jake and Mackenzie tried to reflect this love as they served at Beautiful Gate. 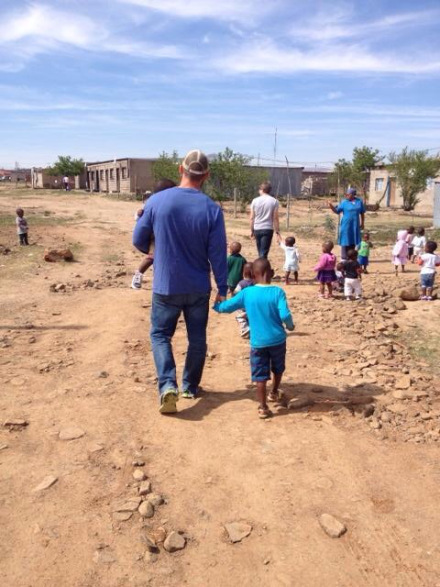 This love for the orphaned children of Lesotho took hold of their hearts and wouldn’t let go. One recalls Paul’s words to the Philippians, I hold you in my heart. During their visit to Beautiful Gate, Mackenzie picked up a book (given as a gift long before but unread until now) called Reckless Faith, by Beth Guckenberger, Co-Executive Director of Back2Back Ministries, a nonprofit organization committed to biblically based orphan care. “Needless to say, [the book] wrecked me,” Mackenzie said. “It talked about the care of not just one specific orphanage, but providing opportunities for sustainability.” Back2Back Ministries comes alongside orphanages as a liaison, partnering to link orphanages to much-needed resources. Mackenzie emailed a Back2Back contact person then and there. What would it look like for Back2Back to partner with orphan homes in Lesotho? Would it be plausible for Jake and Mackenzie to consider joining such an endeavor, if it were possible? As they prepared to leave, Jake and Mackenzie marveled at the love that had grown so large in their hearts for these little ones over the course of a few short days. In the love they felt, they were pointed back to the Father’s love. If they had grown to love these children so deeply in such a short period of time, how much more deeply are we loved by the Father who has made us, knows us intimately, and has called us to be his adopted children? It was with genuine grief--with choked-back tears and words of affection--that they tore themselves away from the children at Beautiful Gate, but there was also a sense of expectancy that accompanied their leaving. So, upon their return to the States, they set about finding out how. Mackenzie heard back from the Back2Back representative, who told her that the first thing she and Jake would need to do, if they were serious about partnering with Back2Back to bring orphan care to Lesotho, was to track down some ministry partners who would commit to going with them--they weren’t to go it alone. Next, they needed to be willing to take a trip to Nigeria--the only country in Africa in which Back2Back currently provides orphan care--to get a sense of what this kind of work would look like. Finally, the Mygatts and their ministry partners, as well as Back2Back, would have to be fully funded for a year’s worth of work in Lesotho. Immediately, Mackenzie’s mind jumped into action. Her sister (living in Minnesota now, doing youth ministry) and brother-in-law had always had a love for Africa, and she thought they might be on board with this idea. Mackenzie shot her an email and soon got an excited call back from her sister. They were in! A plan began to form. First, pray. They’re very open-minded about the future; they’re asking for discernment, direction, and guidance from the Holy Spirit as they wait and plan. “It’s such a big picture, and there are so many different avenues of what we could do in Lesotho, but we also don’t want to just jump into something if it’s not what He’s called us to do,” Jake reflected. Next, a visit to Nigeria is in the works, tentatively planned for September 2015, together with Mackenzie’s sister and brother-in-law. Actually, the waiting has already begun. God has called them, they’re sure, but He hasn’t disclosed any precise directions yet. 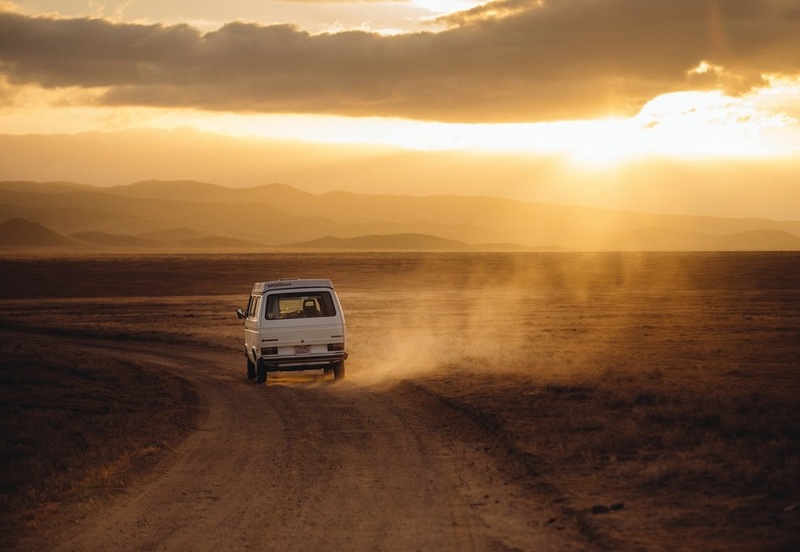 Like Abraham, they know to go, but they’re not exactly sure what the journey will look like. They know change is on its way--they can feel the stirrings and workings of it already--and they’re waiting expectantly for what the Lord wants to accomplish in and through them. As they anticipate a change in their life’s circumstances and calling, they’re also aware that change will need to happen in their hearts. There is a refinement process that God calls His children to--a stripping away of what needs to be stripped and a purification of what remains. For the Mygatts right now, the future is a blank slate. Their hands are open, their hearts are willing, and they are waiting purposefully. They’re ready to hear and willing to undergo painful transformation for the call of Christ on their lives. Pray with them as they expectantly look forward to what God will do.